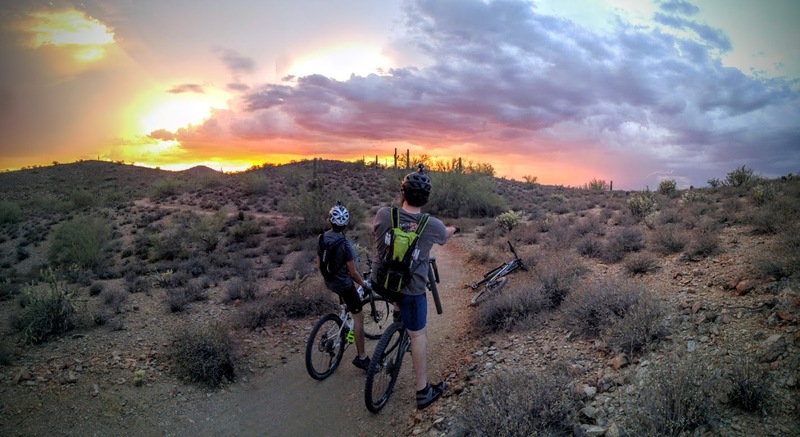 Mountain biking the Apache Wash trail system during the monsoon season. Sunset in North Phoenix, Arizona . Notice the lightning bolt to the north. The temperature was a cool 104f (40c) with humidity in the mid 80% range.